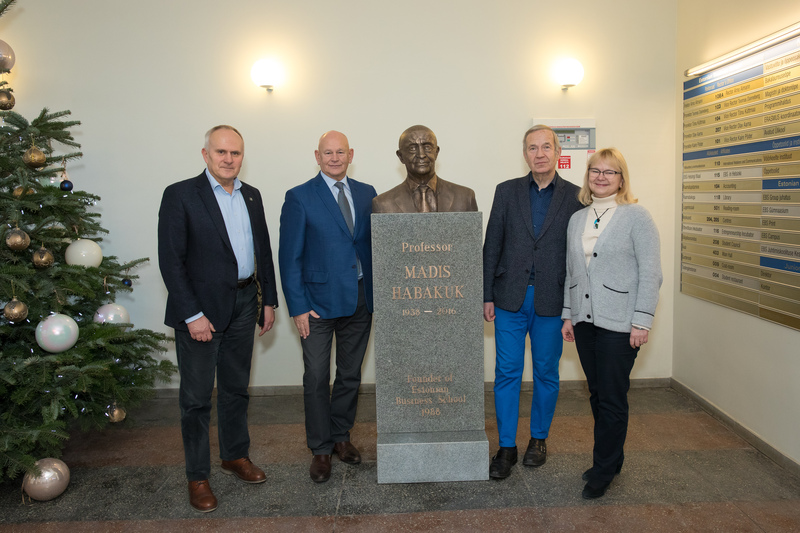 On 28 December 2018, a founder of EBS, professor Madis Habakuk would have celebrated his 80th birthday. 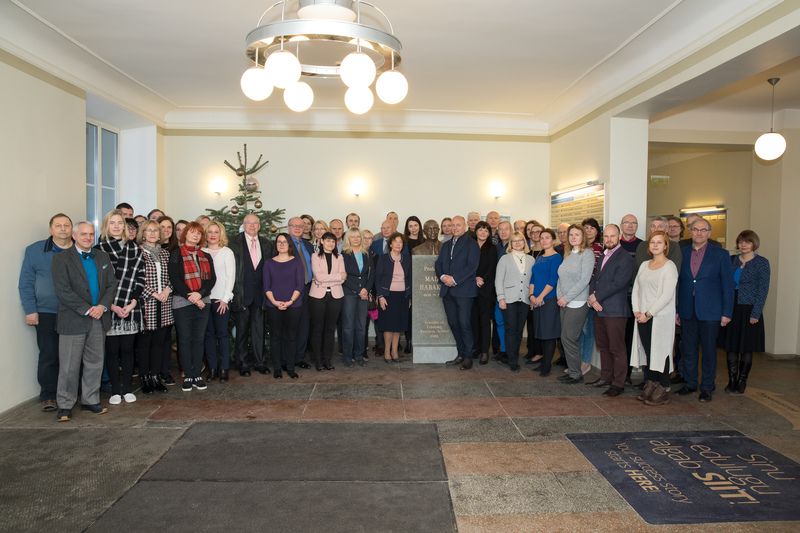 It is almost a 30-year tradition that the faculty of EBS meets in the first week of January to congratulate professor Habakuk on his birthday and start off the new year. 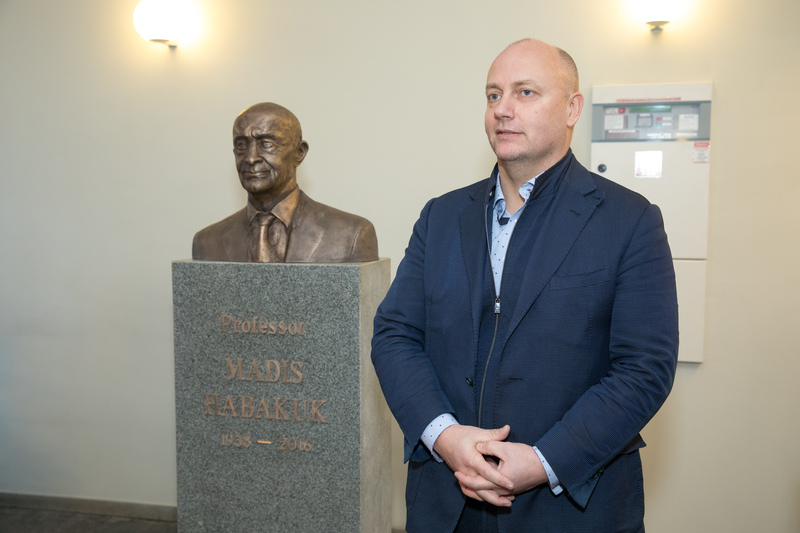 In order to celebrate the 80th birthday of Madis Habakuk, a bust of professor Madis Habakuk was revealed in the lobby of the school on 3rd January. "Now we could say that the master is back in house, having not left it for a day," said the Rector when referring to his long-lasted collaboration with Madis Habakuk and added: "I have a feeling that he is satisfied with us." "Changes in the physical environment and on wider scale bring along a resonance," said the Chancellor Mart Habakuk and added: "It is now possible to consider the ambition of set goals and objectives when passing by in the mornings and evenings." The author of the bust is sculptor Terje Ojaver.